As federal agents teamed with local fire investigators to probe a series of suspicious blazes at historically black churches in Louisiana in a 10-day span, the president of the NAACP called the destructive acts "domestic terrorism" and suggested they are the result of emboldened racial rhetoric sweeping the country. Derrick Johnson, president and chief executive officer of the nation's largest and oldest civil rights organization, the National Association for the Advancement of Colored People (NAACP) spoke out as investigators combed the ruins of four church fires in Louisiana for clues to help them identify whomever is responsible. Louisiana State Fire Marshall vehicles are seen outside the Greater Union Baptist Church during a fire, in Opelousas, Louisiana, April 2, 2019, in this picture obtained from social media. "What is happening in Tennessee and Louisiana is domestic terrorism and we must not turn a blind eye to any incident where people are targeted because of the color of their skin and their faith," Johnson said in a statement. "The spike in church burnings in the Southern states is a reflection of emboldened racial rhetoric and tension spreading across the country," he said. "But this is nothing new. For decades, African-American churches have served as the epicenter of survival and a symbol of hope for many in the African-American community. As a consequence, these houses of faith have historically been targets of violence. The NAACP stands vigilant to ensure that authorities conduct full investigations." 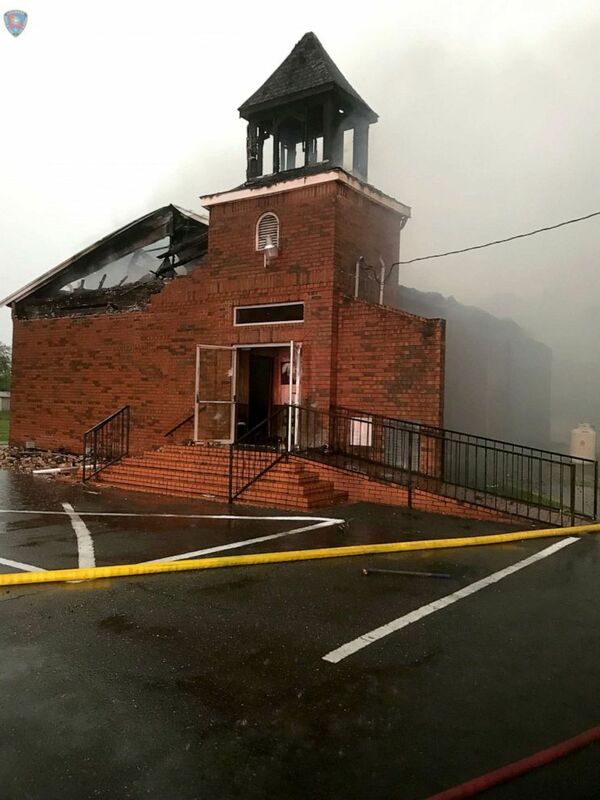 The Mount Pleasant Baptist Church in Opelousas, Louisiana, April 4, 2019, is pictured after a fire in this picture obtained from social media. 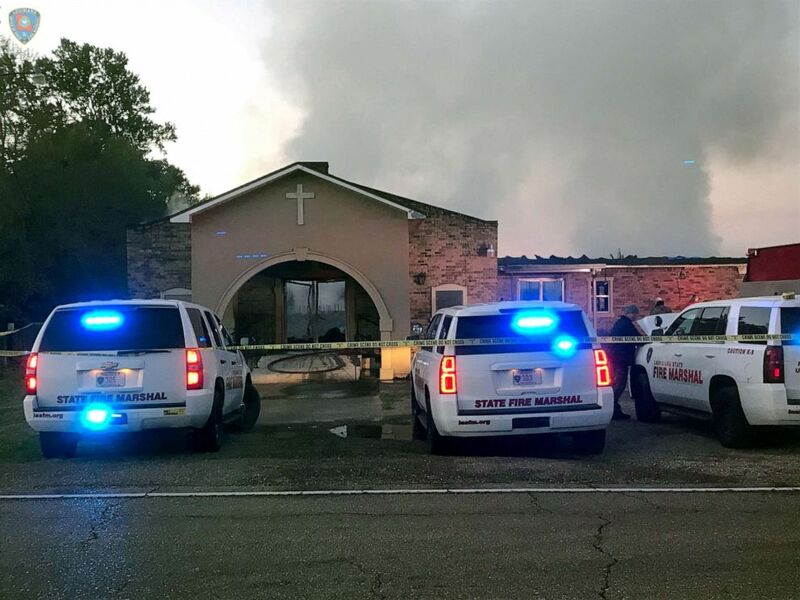 Louisiana State Fire Marshal H. "Butch" Browning said that investigators probing the rash of church fires in his state have found similarities in the incidents, but he declined to elaborate. "There is clearly something happening in this community," Browning said. "That's why it's imperative that the citizens of this community be part of our effort to figure out what it is." A spokesperson for the Bureau of Alcohol, Tobacco, Firearms and Explosives (ATF) told ABC News that the federal agency's National Response Team is in Louisiana investigating the fires at the houses of worship. Additionally, the ATF's U.S. Bomb Data Center is providing support to determine if there are any links to similar fires in other parts of the country, the spokesperson said. 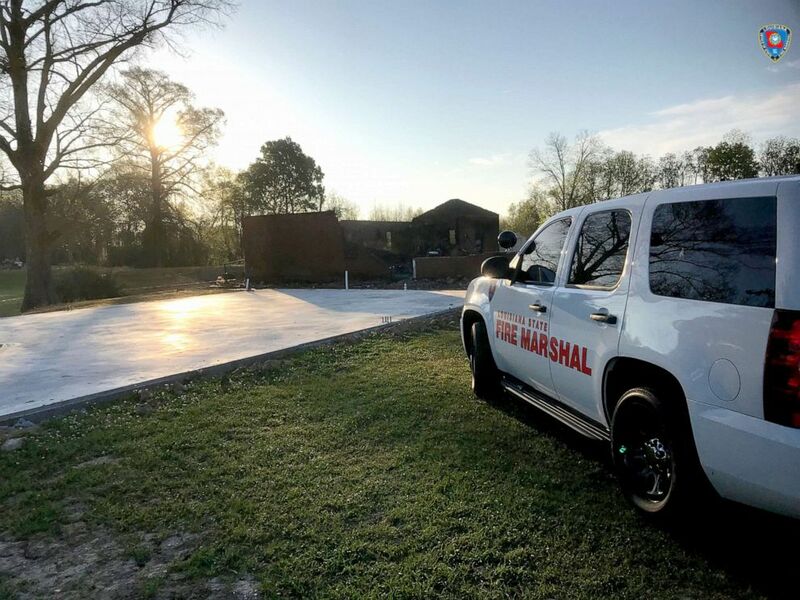 A Louisiana State Fire Marshall vehicle is seen outside the fire-destroyed St. Mary Baptist Church in Port Barre, Louisiana, March 26, 2019, in this picture obtained from social media. “There can be many reasons why this happened, none of them are righteous,” Higgins said in the video while standing in front of the rubble of St. Mary Baptist Church. “If you participated this, you have succumbed to evil. Powers and principalities are controlling your life. I encourage you to look deep into your heart and step away from the darkness that has enveloped you and turn yourself in, because you will be caught."